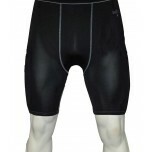 Black softball umpire shorts from Smitty and compression shorts for both softball and baseball are here. They feel good with the Nutty Buddy. Very comfortable and true to fit. Must have.